Paul is a teller at one of the local banks. He is single and plans to go back to school. He is making a starting salary of $21,600. His roommate and brother Pete works as a plumber helper making $23,900. 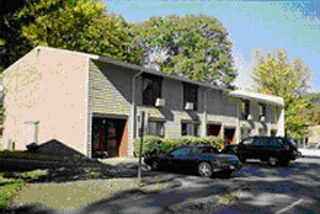 They pay 30% of their income ($1,138) for rent at Avalon Run in Lawrence. Joe is a barber and lives with his wife and small son. He makes $25,000 per year. 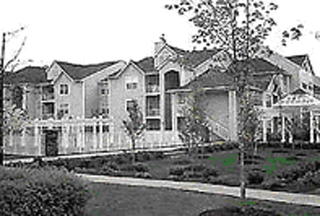 They live at Greenwood Village Apartments in Hamilton and pay 30% of their income ($625) for their rent. Maria works as a fast food server making a minimum wage of $7.15 or $14,872 a year. She has one child and lives at Princeton Community Village paying 30% of her income ($372) in rent. Barbara is a phlebotomist/Lab Tech at one of the local hospitals. Barbara is a single mom of one pre-school child and one elementary school child. She is also going to Mercer County College to be a nurse. Her salary is $29,000. Barbara pays 30% of her income ($725) and lives at Griggs Farm in Princeton. Ana works at a daycare center where she can bring two of her four children. Her husband Jose works as an EMT. Their income total $47,000. 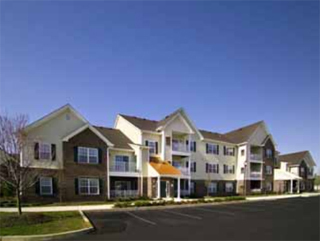 They pay 30% of their income ($1,175) for rent at Steward Crossings in Lawrence. Susan works for the state as a health aide making $22,600. Her husband is disabled and receives SSI income of $7,644 per year. They live in a Project Freedom community. Raymond works for the state as a truck driver making $22,000. His wife stays home with their three children. 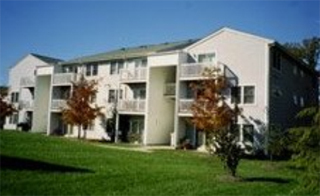 They pay 30% of their income ($550) for rent at Windsor Meadows in West Windsor. ...and the truth is, it is good for the neighborhoods in which it is built. So, why is not more affordable housing being built? State and local laws require it. Is Affordable housing only for people who don’t work? 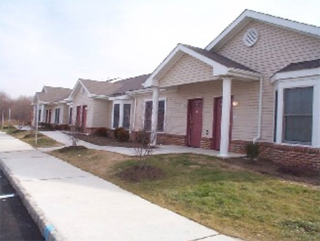 Affordable housing in Mercer County is for working families with annual incomes less than $60,888. This is based on a family of three, the average family size in NJ. The rent or mortgage is subsidized so that only 30% of income goes for housing. How many people make that kind of salary? See our sidebars for profiles of typical workers. Without affordable housing, how much do I have to make to afford a two-bedroom apartment in Mercer County? If you pay 30% of your income for rent, as most banks recommend, you need $44,800 a year to pay the $1,120 Fair Market Rent for a two bedroom apartment. That means you should be earning $3,733 a month or $862 per week. What’s the median price of a home for sale in Mercer County? A median priced home in our county lists at $250,000. The annual income needed to afford this home (based on 30% for housing) is $89,700. Isn’t all affordable housing ugly? 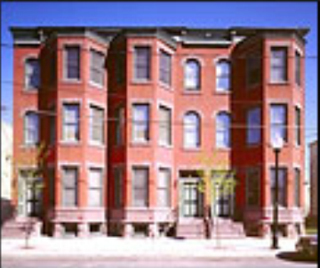 Affordable housing can be designed to fit the community’s character in size and style. Some of it has won prizes for design. Doesn’t affordable housing increase crime? Modern affordable housing is mixed income, mixed owner/renter and is built to fit into the surrounding community as low rise buildings. It poses no special social problem; in fact crime goes down. In Philadelphia, major crimes plummeted 63% when high rise buildings were replaced by town houses. Doesn’t affordable housing overburden schools and infrastructure? Studies show that renter family size (including school-aged children) is 15% smaller than owner family size. Higher density housing provides greater economies of scale than single home development does. This means that the infrastructure for utilities, trunk lines and waste treatment plants will cost less. This is borne out by studies by the U.S. Office of Technology Assessment which found that it costs $10,000 more per unit to provide infrastructure to a lower density development than to a more compact neighborhood. Doesn’t affordable housing lower property values? No. Research from Wayne State University (Michigan) shows that affordable housing has an insignificant or positive effect on property values in higher-valued neighborhoods and that it improves values in lower-valued neighborhoods. Does everyone who qualifies have affordable housing? This is our problem. There is not enough affordable housing to meet the need. Only 1 in 4 of those who qualify actually has affordable housing. How does affordable housing benefit the whole community? Diversity benefits all - A mix of housing options at various prices enables families to set roots in a community, to stay in the community as their housing needs change and to welcome their adult children back to town when they are ready to start out on their own. Affordable housing strengthens the volunteer pool - Volunteer firefighters, sports coaches, scout leaders and municipal volunteers come from all walks of life. Restricting who can live in a town limits the pool of people who can contribute to the social fabric of a community. Businesses need housing for employees - It is in the best interest of the employer to have workers live nearby and not be burdened by long commutes and travel related costs. Not only is it good for existing employers, it also increases the town’s ability to attract new businesses. How can we get more affordable housing? What advocacy is needed in my community? The political landscape for affordable housing varies with each municipality. The Mercer Alliance to End Homelessness is recruiting folks to serve on Municipal Action Teams in their towns. We are looking especially for people who are already well-connected in their towns to serve as captains of these Teams. Mercer Alliance to End Homelessness can help with the facts and figures, You bring your knowledge and contacts of your community to advocate for the best mix of housing. Volunteers will be interacting with local elected officials, planners and non-profit agencies. Volunteer to captain the Municipal Action Team for affordable housing in your community. Attend Mercer Alliance’s May 29 Training for launching these Municipal Action Teams. This will teach you about the new COAH rules and prepare you to work with your municipal officials. Information obtained from: Avalon Communities, “Building Healthy Communities 101”lacify.org/lahd/curriculum/faq.html. 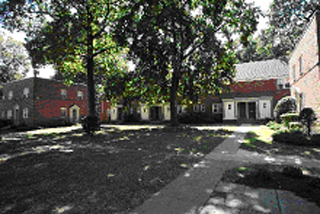 Stockton Real Estate, Princeton New Jersey. Campaign for Affordable Housing, COAH Rules For Fair Share Housing, Community Housing, Delaware Valley Regional Planning Commission, Isles, National Association of Realtors, National Low Income Housing Coalition NJ Housing.gov, Princeton Project Freedom, Regional Data Bulletin Table 5 County and Municipal Data, Salary.com, Taylor, Randolph “Crime Trends in Public Housing” J Criminal Law and Criminology 91:2, 537-546. Wayne State (Michigan) University www.wayne.edu/pubs/galster/NAR_report.pdf, Windsor Meadows. 1 New Jersey Council on Affordable Housing (COAH). 2008 Regional Income Limits. 2 National Low Income Housing Coalition, Out of Reach 2008. This is based on the Fair Market Rent for the county as determined by HUD in the fall of 2007. 3 “At 6 New Design Housing Projects, Lower Crime and Higher Hopes”, Philadelphia Daily News 2/19/08.www.knowledgeplex.org/news/1415751.html.